Mitraland Leisure Club picked Gua Damai Extreme Package for its club members’ activities. It took them sometime to get to Gua Damai Extreme Park because they were unfamiliar with this area but they managed to gather here by 9:20A.M. 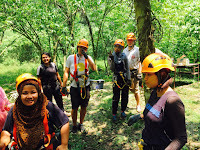 After a short briefing session by Mustapha, the group started trekking at 10AM. 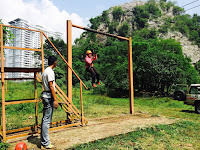 As it has rained heavily the day before, the trek was muddy and slippery causing the group to go slow. 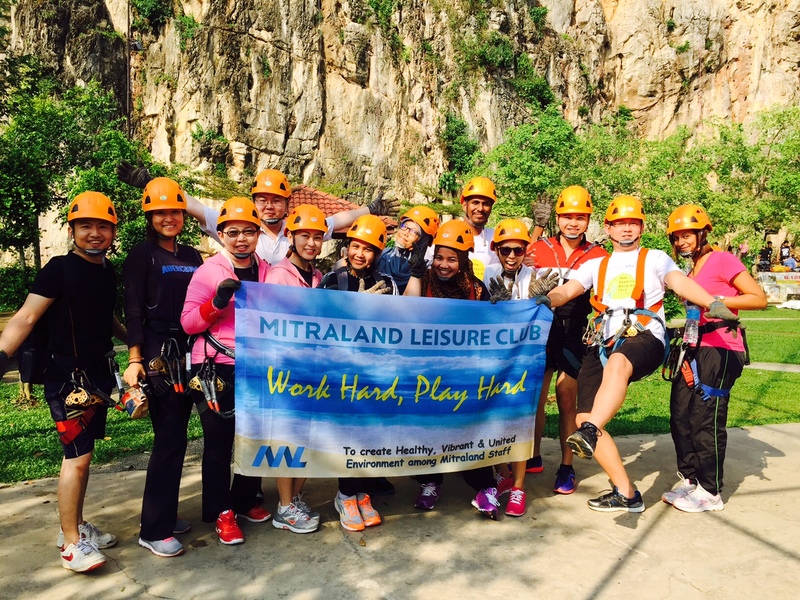 The Mitraland Leisure Club members got to their ziplining and had a go till lunchtime at 12.30PM. 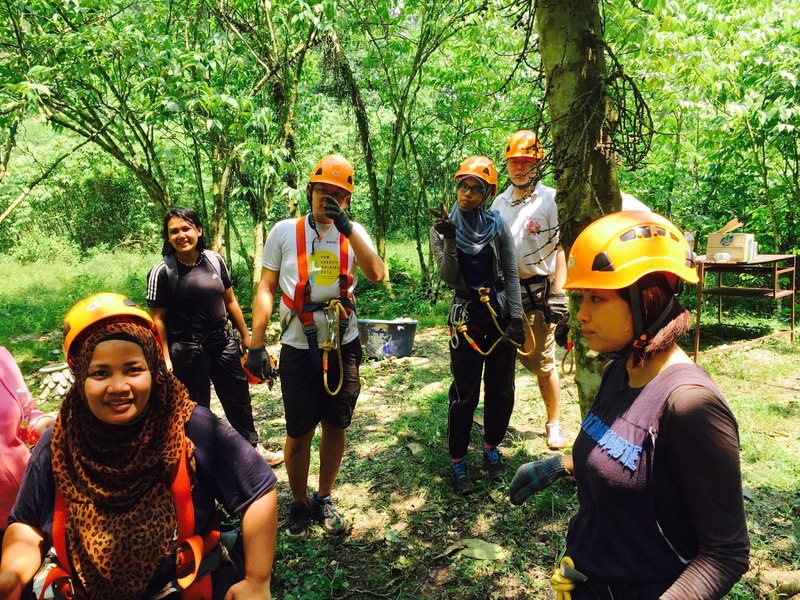 After lunch, they left the campsite to explore “Ichibawa Cave” and continue to abseiling activity. The 13 member group called it a day when the rain came around 3P.M.